Storage Authority rents self-storage units of all sizes. From a typical, small closet size unit to self-storage units that can store all items for a large house. All of our self-storage units are drive-up and walk-up that are accessible 365 days a year, 24 hours a day. Once you find the size that best fits your need, feel free to reserve it (depending on availability). There’s no obligation to sign. You can cancel the reservation for any reason. 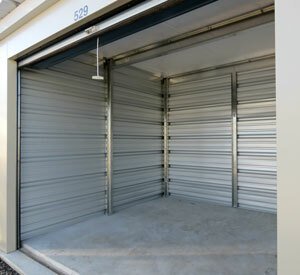 You may choose to inspect the self-storage unit and meet with the on-site manager before you rent. If you need moving and packing supplies to help, we have you covered. You keep the only keys for your self-storage unit throughout your stay. You may terminate your contract at any time without penalty. If you decide you need more space, we can help you choose another size that better suits your needs. Need to store extra items that won’t fit into your tiny dorm or apartment? Storage Authority is only a short drive from several colleges in the Southeastern Wisconsin areas. Call today and ask about college students discounts. Still waiting for your new house to be completed? Need extra space to store items only for a short time? Storage Authority is a month-to-month lease. Whether you need to store your items for 1 month or 10 years, we’re here to help. Storage Authority provides 24/7 room access so you can access your goods when it’s convenient for you. We keep our facilities lighted so you can see when it’s dark and so our 24/7 video recording can clearly see everything around the clock.